Luke & I always love to visit the Lesner Inn. This venue is set right on the water and has some of the most beautiful sunsets. And of course the food there is always amazing and such a treat! Nelson & Nicole married this past Saturday and it was such a beautiful celebration of their love. We actually met Nicole a little over a year ago at her sisters wedding. We immediately loved their family and the way they do life together. When Nicole contacted us about her wedding we were thrilled. The way they laugh together and they way they look at one another is perfection. I also can relate to Nelson’s sense of competitiveness. And when he said he knew Nicole was the one when she played an long game with him without wanting to stop…He knew that this was it! They compliment one another so well and it was such a joy capturing this special day for them. One of my personal favorites of the night and probably one of my favorite things ever that have happened at a wedding was Nelson’s surprise serenade to his new wife. He had secretly been practicing and it was by far the sweetest gesture that I have witnessed. Thank-You Nelson & Nicole for having us! We truly enjoyed our time with you and your families and we wish you both a lifetime of love & happiness! A Big Thank-You to these incredible vendors! 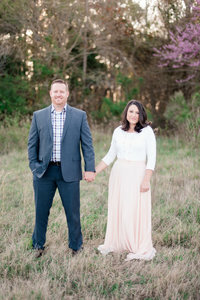 To see their Engagement Session visit here!